Concentrated, multi-layered, spliced with humor, and informed by her thirty-eight year tenure as a Catholic nun (she left the order in 1973), these poems are a study in contrasts. 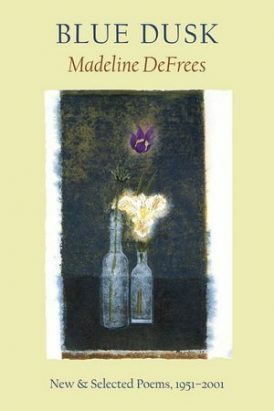 DeFrees’s world refuses to be drawn in black and white, as she balances presence and memory, mind and body. Her poems achieve the quiet clarity of a woman constantly emerging.